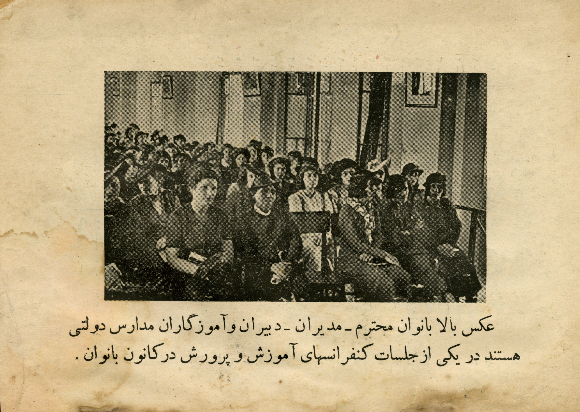 Photograph: Conference at a school for girls founded by Dowlatabadi in 1935. On the rear of Zaban-e Zanan magazine, issue no. 4, 1944. Collection International Institute of Social History. In de context van de expositie Iran’s Women’s Movement: On the Archive of Sadiqe Dowlatabadi (2016) organiseren Framer Framed en het Prins Claus Fonds twee rondleidingen: door het Internationaal Instituut voor Sociale Geschiedenis en door de Prins Claus Fonds Gallery in Amsterdam. Framer Framed organises a tour through the archive of the International Institute of Social History in Amsterdam, in conjunction with our current exhibition Iran’s Women’s Movement: On the Archive of Sadiqe Dowlatabadi. In the exhibition, curator and artist Azadeh Fatehrad reflects on the personal archive of Sadiqe Dowlatabadi (1882-1961), one of the pioneers of the women’s movement in Iran. IISH houses Dowlatabadi’s and was acquired by professor Touraj Atabaki. In the guided tour professor Atabaki himself will discuss the specific archive and the IISH. 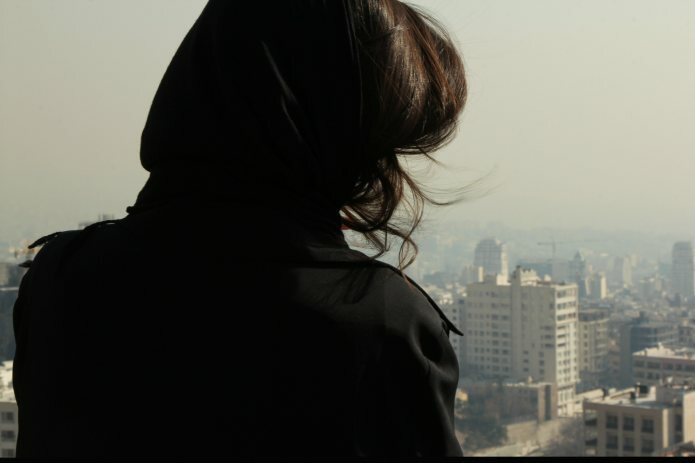 Azadeh Fatehrad will offer her personal reading of photographer and 2015 Principal Prince Claus Laureate Newsha Tavakolian’s solo exhibition I know why the rebel sings , at the Prince Claus Fund Gallery. The exhibition brings together the breadth of Tavakolian’s practice, from photo journalism in war zones to intimate portraits of her peers. Fatehrad’s tour will focus predominantly on Tavakolian’s work from a feminist perspective within the context of contemporary Iran. Visitors can view Iran’s Women’s Movement: On the Archive of Sadiqe Dowlatabadi at Framer Framed until 8th March 2016. The exhibition I know why the rebel sings is on view at the Prince Claus Fund Gallery through Friday 1st April 2016.